We always need custom stationery organizers and pencil holders on our desk which we use exclusively for reading and write purposes! So, pencil holders are also a big demand for all the study tables you set in the kid’s study rooms! However, giving a personalized pencil holder as a gift to a special school going kid can instantly win the heart of him/her for you! 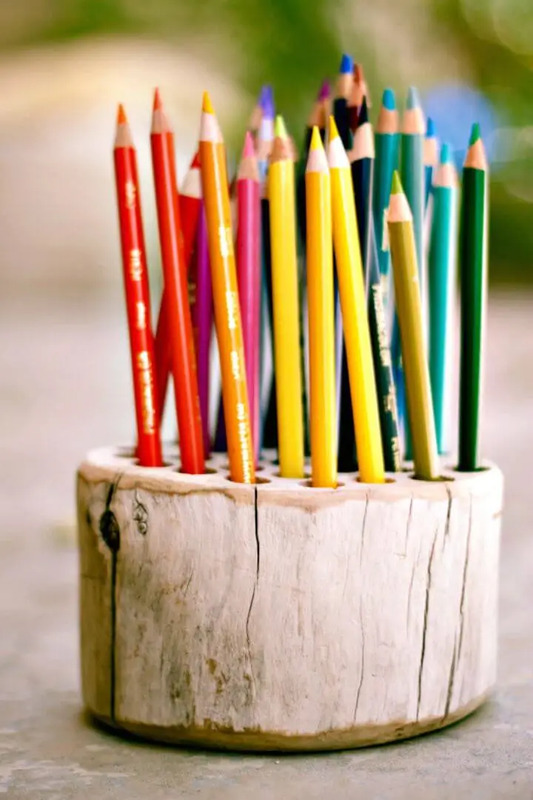 If you are willing to do so, then time to make your own lovely pencil holders at home! 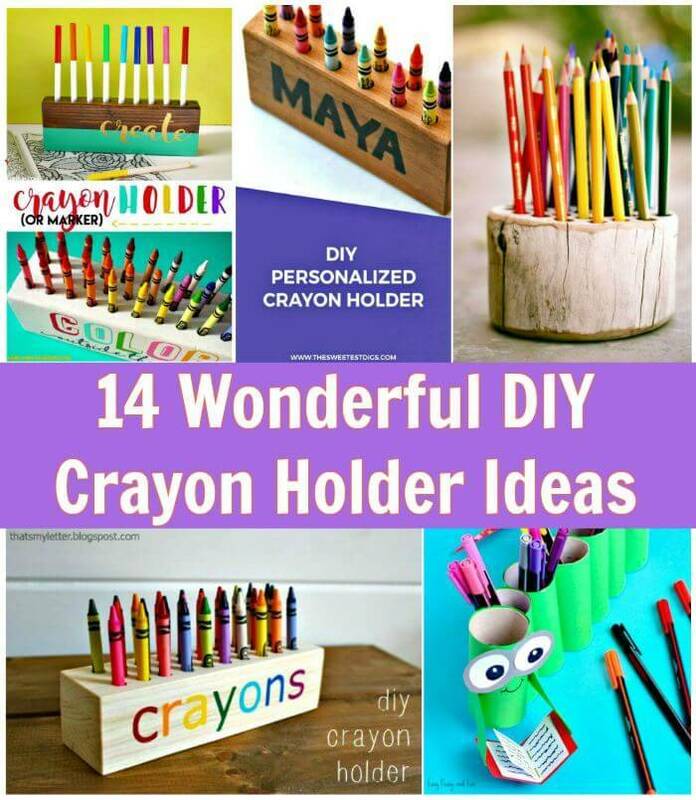 Just have a look at these 14 DIY Crayon Holder Ideas that are full of creative hacks and hence will help you make the amazing pencil holders at home like a pro using the materials that you no longer in need of! 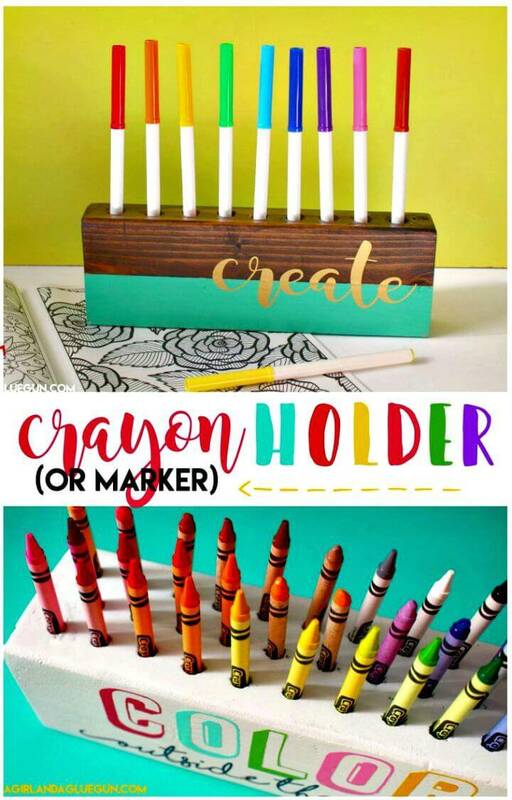 All these DIY crayon holder ideas are sure to be cost-efficient so there will just be no trouble while tryout any of these ideas at home! Here all these crayon holders would make a great back-to-school gift for every kid who is interesting in art and painting! 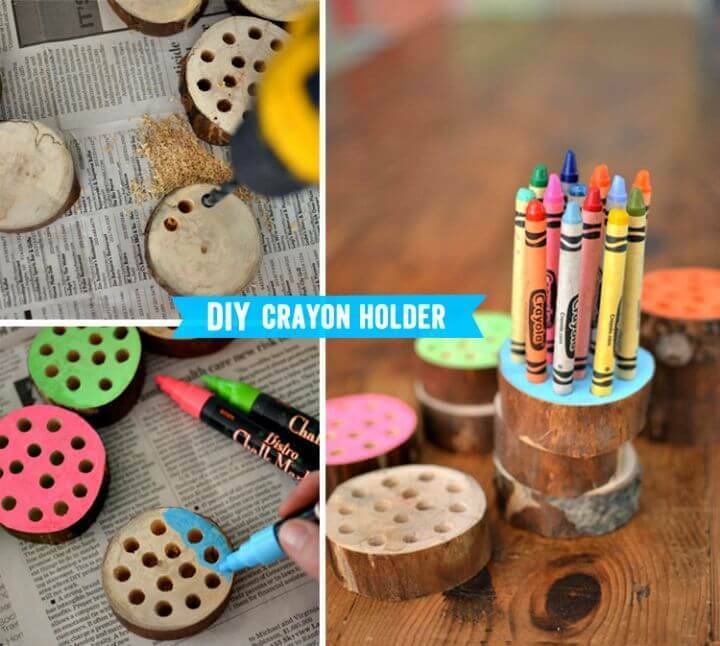 Grab some pieces of scrap wood from home and just drill custom holes in them to make great looking crayon holders at home! 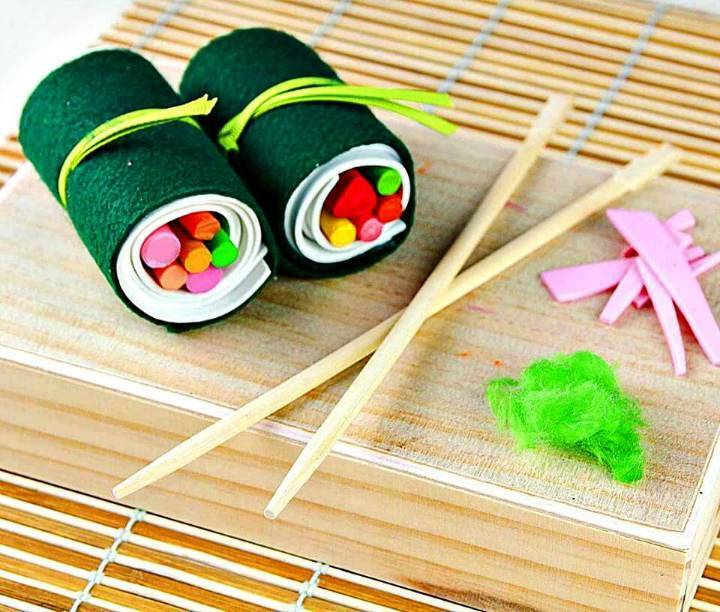 Make also the beautiful sushi roll crayon holders at home using the felt and foam sheet and just tie them using colorful ribbons, would make outstanding kids gifts! 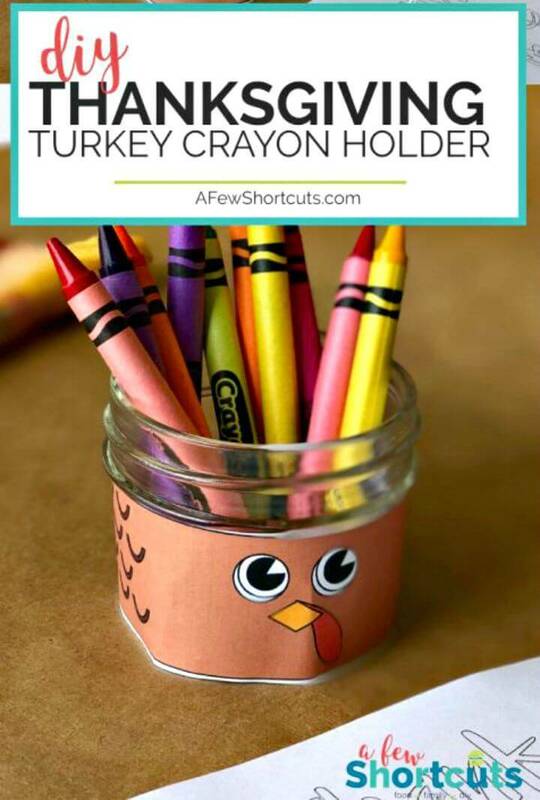 Repurpose also the old jars and containers from home and turn them into fab looking crayon holders, a great example here is the turkey crayon holder that is looking amazingly cute! 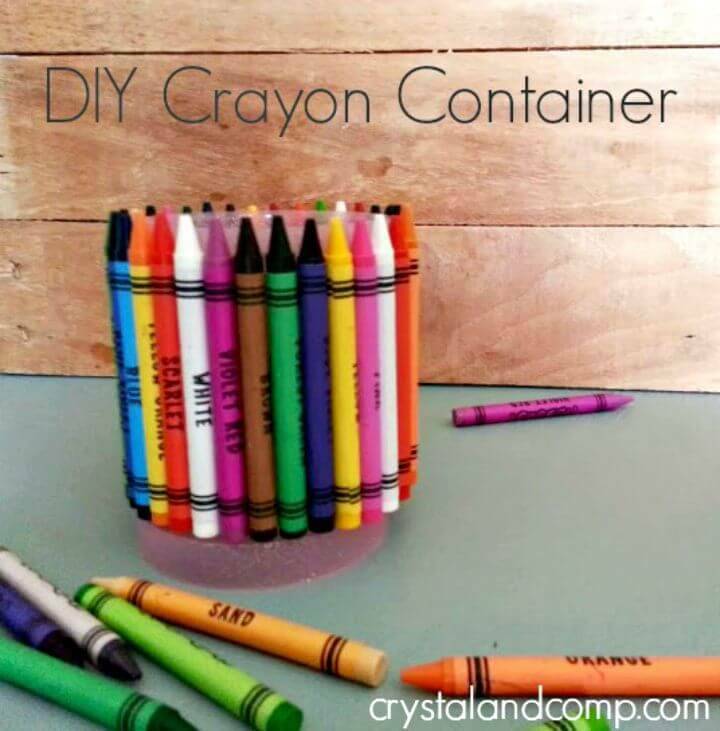 Make also the colorful crayon holders at home using the metallic fruit containers that can be painted in so many different colors! 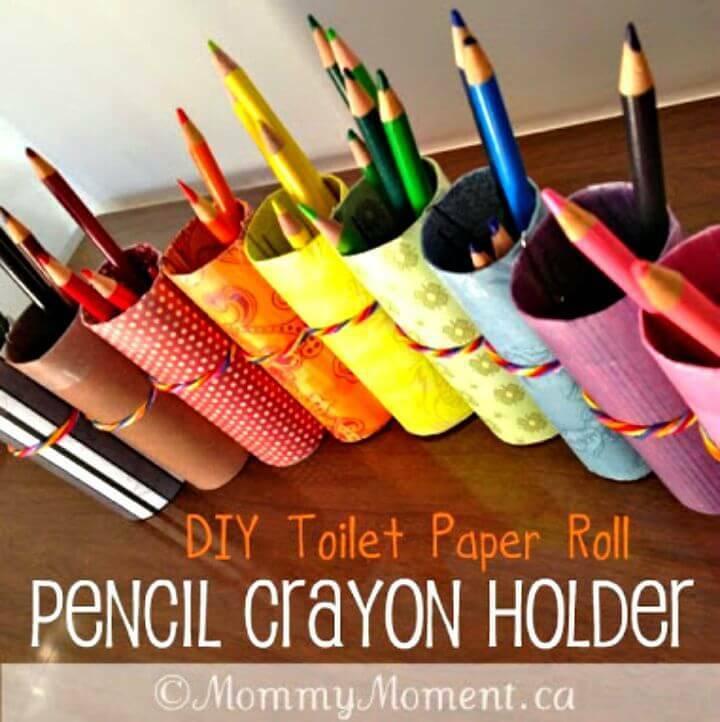 Spruce up also your desk and study tables by making lovely crayon holders using the toilet paper rolls that can be wrapped in colorful papers to look great! 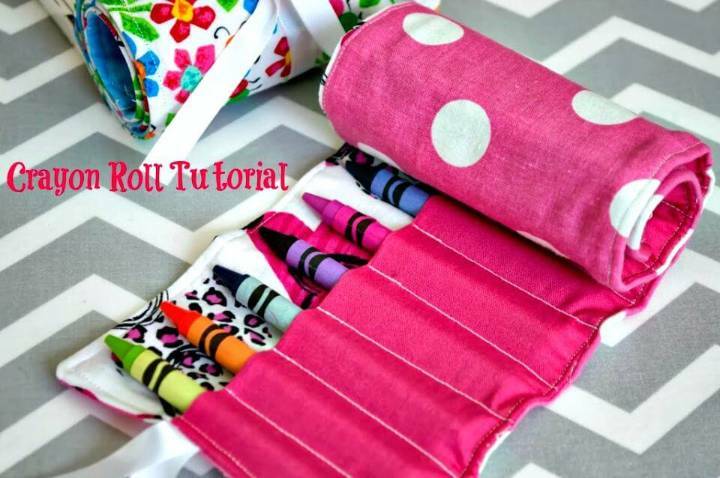 Get also crafty with the fabric and fusible interfacing and make rolling crayon holders without getting expensive! 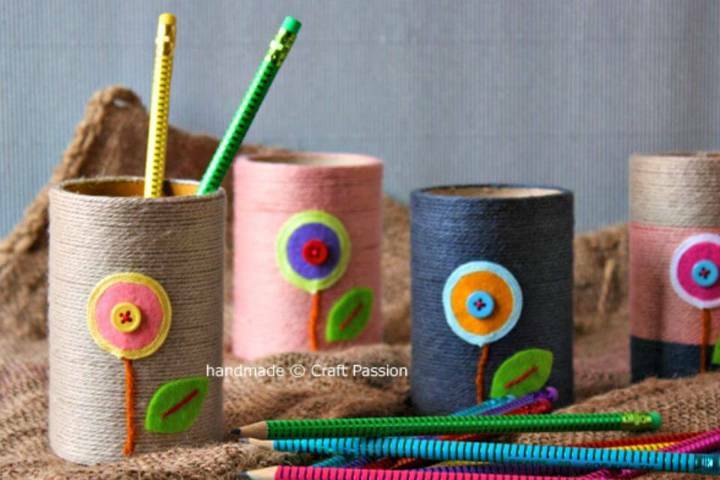 Next, you can also wrap the colorful yarn around the cardboard tube to make great looking crayon holders that you can also embellish with different accents! 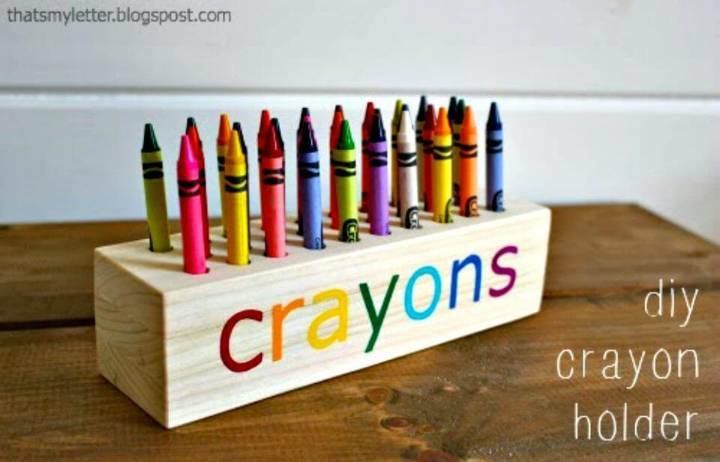 Also, glue the crayons vertically around the plastic containers and make adorable crayon holders in no time! 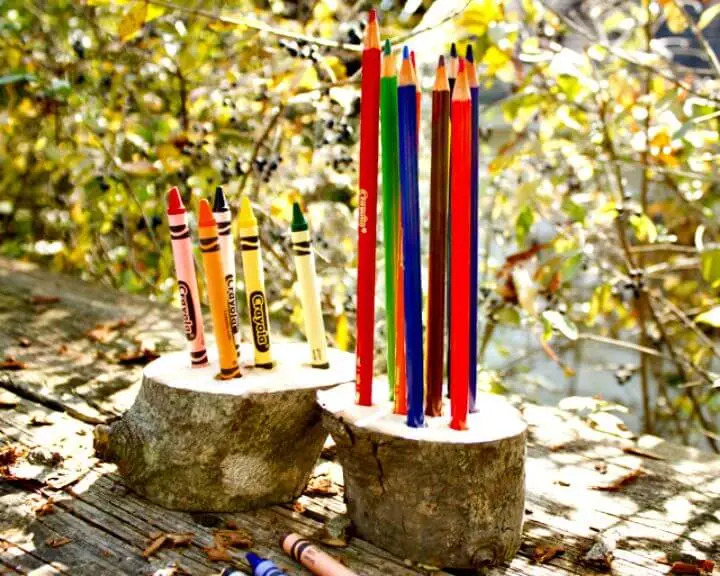 Cut also the wood log slices and drill holes in them to make rustic looking crayon holders at just a drop of a hat! 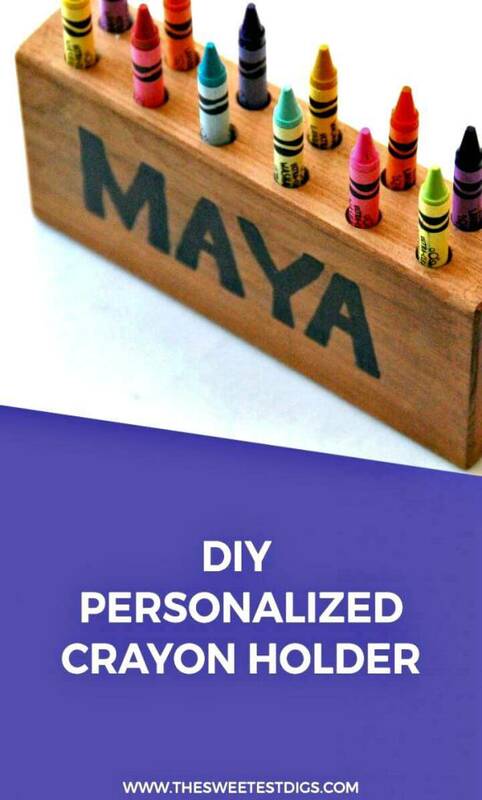 You can also personalize your finished crayon holders in your own way like using the paint, by writing custom letters and also by drawing custom art shapes! 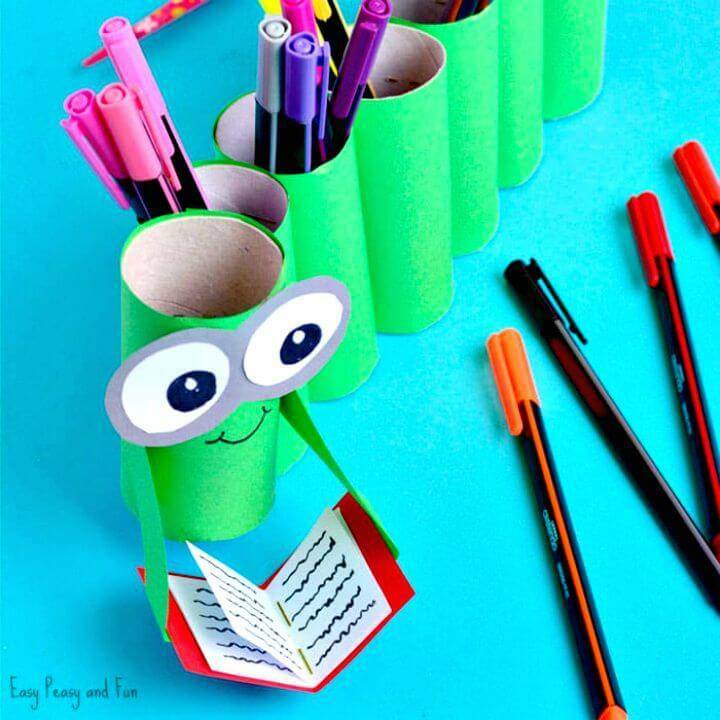 Spruce up your desk also by making bookworm pencil holders! 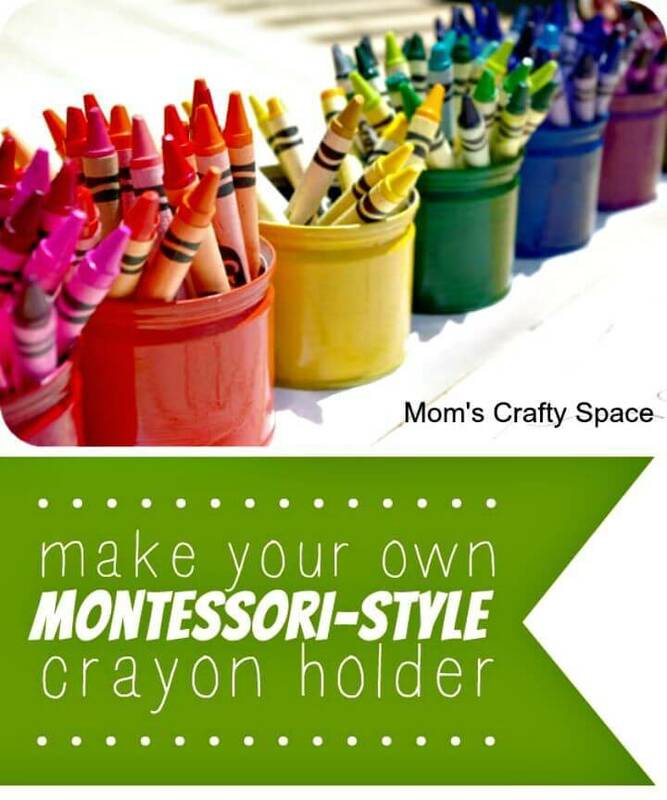 Browse the entire list to see more crayon holder ideas and projects! If you are willing to duplicate some of your favorite projects from the list, then you can simply add them to your to-do list! For getting free tutorials and instructions, just browse the given pasted links!